Chinese butler school graduates (from left) Ding Jian, Duan Xiangyin, Zhang Dejing and Gao Gen stand at attention outside the entrance to a conference in Beijing on Sept. 25. BEIJING — Prompted by the popularity in China of the British TV series “Downton Abbey” and a fondness for anything that looks expensive and feels European, some of China’s very wealthy want uniformed employees with white gloves, impeccably trained, who can anticipate their every need. Ironing, suitcase-packing, cooking and Western-style table setting — with knives, forks and spoons rather than chopsticks — were all part of the final test at the International Butler Academy based in the southwestern Chinese city of Chengdu. The six-week program teaches everything a European-style butler needs to know to manage a rich family’s household to the highest standards: from etiquette to organizing trips to exclusive destinations. 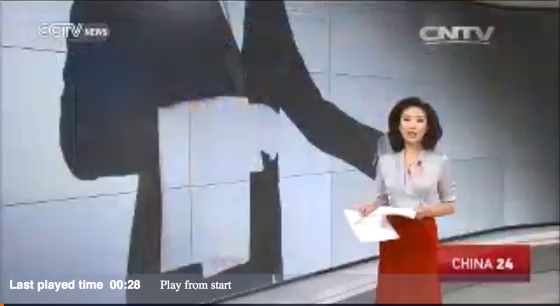 Those skills are in growing demand among China’s super-rich. “A butler can provide that. So more and more people are thinking: ‘Oh, I want a butler too,’” said Du, who attended the butler academy herself to incorporate some of the skills into her courses. The demand also has been driven by property developers. Eager to stand apart amid stiff competition and a decelerating economy, some of them have hired butlers in their showrooms and even offered butler service for new owners of their apartments and villas. While maids and housekeepers are a big part of urban life in China, it’s rare to see a uniformed servant who performs the kind of top-to-bottom household management offered by a butler. 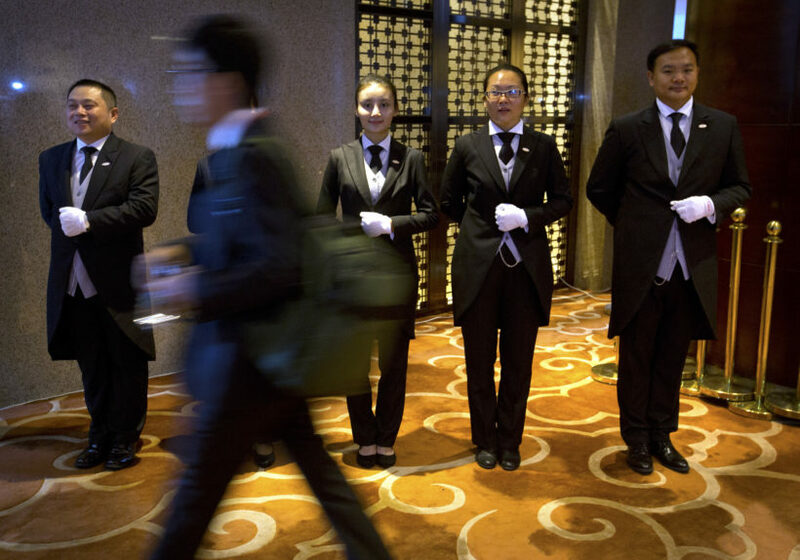 At least one Beijing company offers a team of about a dozen butlers for full-time household work or for party catering and VIP airport pickups. The service, CN Butler, advertises with placards outside shopping areas in wealthy suburbs of the capital. The academy in Chengdu was opened in July 2014 as a joint venture between a butler school in the Netherlands and a Chengdu-based property developer called Chengdu Langji Real Estate Co. Cultural factors can make it difficult to teach butler skills in China, said the academy’s head of training, Christopher Noble. The Cultural Revolution of the 1960s and 1970s sought to eradicate any notions of elitism in society, while decades of the one-child policy have meant many younger Chinese are accustomed to being the center of attention in their families. Even after their intensive six-week program, the student butlers sometimes had to be prompted by their instructors to serve tea or coffee to new visitors. Several Israelis were injured during bloody stabbing rampages Thursday at the hands of Palestinians — amid escalating violence that has gripped the country in recent weeks. In Tel Aviv, a Palestinian man used a screwdriver to stab five people near the Israel Defense Forces headquarters, the Kirya, before he was shot dead by an Israeli airman, Ynet reported. Authorities believe the attacker was a worker at a nearby construction site, the Jerusalem Post reported. Later, in the West Bank settlement of Kiryat Arba, a 25-year-old man was stabbed and his assailant was believed to have fled toward Hebron. A few hours earlier, a man stabbed a Yeshiva student in the French Hill neighborhood of East Jerusalem. The assailant tried to grab a security guard’s weapon and was subdued while trying to carjack a passing vehicle, Ynet reported. The 25-year-old victim, who suffered serious injuries to the neck, was stabbed near the site of a terrorist attack at a light rail station — by the national police headquarters — where a Palestinian deliberately drove his car into people waiting on line for a train several months ago. The assailant was identified as Subhi Ibrahim Mohammed Khalifa, 19, of the Shuafat refugee camp near Jerusalem, the Israeli newspaper Haaretz reported. The Shin Bet security services later interrogated him. Jerusalem Mayor Nir Barkat, a former Israel Defense Forces officer, urged all residents licensed to carry weapons to do so after the attack. Meanwhile, Israeli Prime Minister Benjamin Netanyahu barred all Cabinet ministers and lawmakers from visiting a sensitive holy site in Jerusalem’s Old City to try to calm tensions. [Last] week’s violence in Israel has so far left four Israelis and five Palestinians dead. Netanyahu also postponed a visit to Germany that had been scheduled for Thursday to tackle the surging violence, AFP reported. Hard-liners in Netanyhau’s governing coalition have been putting intense pressure on him to respond with a tough crackdown. But the prime minister is wary of angering the American administration, as well as risking another full-fledged uprising — even a third intifada. At the heart of the escalating tensions is the sacred site in Jerusalem that’s revered [by both Muslims and Jews –] by Muslims as the spot where the Prophet Mohammad ascended to heaven, and by Jews as the site of the two Jewish biblical Temples. Many Palestinians believe Israel is trying to expand Jewish presence at the site, a claim Israel strongly denies. Under an arrangement administered by Islamic authorities, Jews are allowed to visit the site at certain times but not pray there. The latest unrest began about three weeks ago as Palestinians barricaded themselves inside the Al-Aqsa mosque, located at the Temple Mount site – known to Muslims as the Noble Sanctuary – and threw stones, firebombs and fireworks at cops. 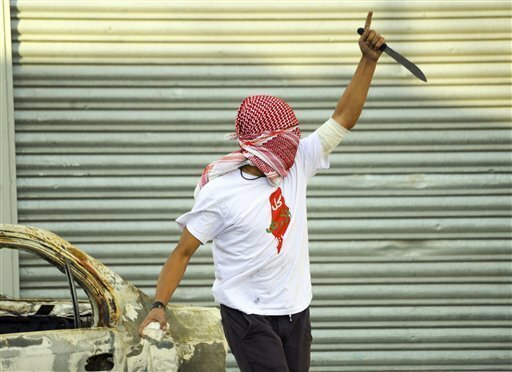 The violence spread to the city’s Arab neighborhoods and to the West Bank. Palestinian President Mahmoud Abbas said he would not allow his people to be “dragged” into more violence with Israel. He said he was committed to “peaceful popular resistance” though he backs the protesters who have barricaded themselves inside Al-Aqsa and clashed with Israeli authorities. The UN’s human rights chief called for calm Thursday, saying that “more bloodshed will only lead to more hatred on both sides” of the Israeli-Palestinian divide. “The high number of casualties, in particular those resulting from the use of live ammunition by Israeli security forces, raise concerns of excessive use of force,” Zeid Raad al-Hussein said of reports that at least 134 Palestinians have been injured by live ammunition. 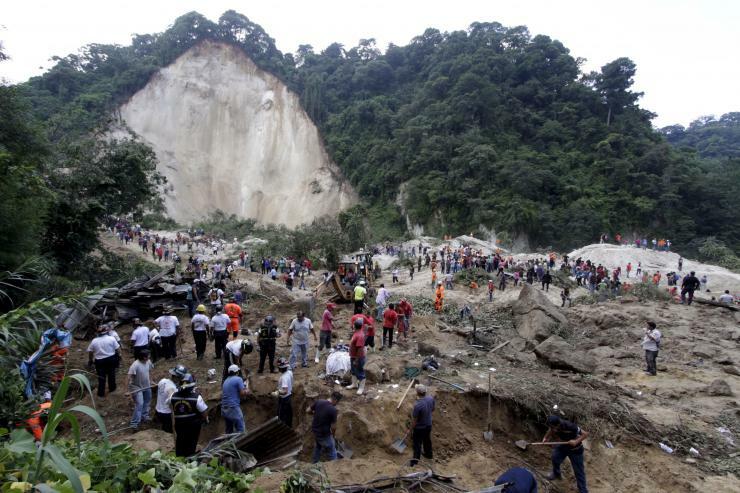 SANTA CATARINA PINULA, Guatemala — Guatemalan officials weighed what to do with the site of a massive, acres-wide mudslide that might still hold hundreds of bodies and a surrounding area of largely untouched homes that has been declared uninhabitable. Simply too vast to excavate fully, there may come a point — as in the past — where officials simply end digging efforts at the site and declare the area where the unrecovered bodies lie a de-facto graveyard, their buried houses becoming their final tombs. The mud that swallowed the El Cambray II neighborhood in Santa Catarina Pinula, which lies at the bottom of a deep ravine, is so deep that rescue workers were descending 39 feet through narrow shafts to reach the roofs of homes. “Some died from the impact, some from asphyxiation and some … from heart attacks,” he added. Rescue efforts have been hampered by the precarious situation at the site, said Cabanas. There were two smaller landslides on Oct. 5. A nearby river has risen by over 3 feet, and rescue workers fear for the stability of the hillside where the landslide began. Officials are also considering what to do with residents of the Cambray community on the outskirts of Guatemala City whose houses escaped Thursday’s massive landslide but whose neighborhood has now been declared uninhabitable by Guatemala’s National Disaster Reduction Commission, known as the Conred. [Find the answers at the CIA World FactBook website. For each country, answers can be found under the “Geography” “People” and “Government” headings. b) Describe the two factors that make it difficult to teach butler skills in China. c) If you were extremely wealthy, would you hire a butler to manage your house? Explain your answer. b) What recommendation did Jerusalem Mayor Nir Barkat make after the attacks? c) What do you think of Mayor Barkat’s suggestion? d) Read the “Background” below the questions. What step did the Israeli police take in an effort to ensure calm? e) Do you think the Israeli authorities should do anything differently? Explain your answer. CHALLENGE: Read “What is the Temple Mount, and Why is There So Much Fighting Around It?” Discuss the importance of the Temple Mount to Jews, Muslims and Christians. b) Read the “Background” and watch the news reports under “Resources.” Do you think anyone is responsible for this tragedy? Explain your answer. c) What do you think: should authorities at this point call off the recovery effort and declare the area to be a graveyard? Explain your answer. Soup spoon, salad fork … Zhang Zhejing struggled to remember how to lay out the cutlery on either side of the plate. She also forgot to put the water glass next to the wine glass – a crucial mistake that would not go unnoticed by her two examiners. Zhang is negotiating with a wealthy family looking for a butler who can also teach their children English. Her four classmates weren’t even looking for butler jobs. They included two employees of luxury property management companies, the owner of a travel agency and a 21-year-old sent by her wealthy family to acquire practical knowledge. Though Zhang faltered in setting the table, she fared better when asked to complete a set of tasks for a person about to leave on a last-minute business trip. She was given one hour to iron a shirt, polish shoes, prepare a suitcase, lay a table, fold napkins 10 different ways in less than three minutes and prepare breakfast. She finished those tasks with nine minutes to spare and passed the course. She said her husband is not keen on her new career choice because he sees it only as “serving people” rather than as a household management job that changes daily. 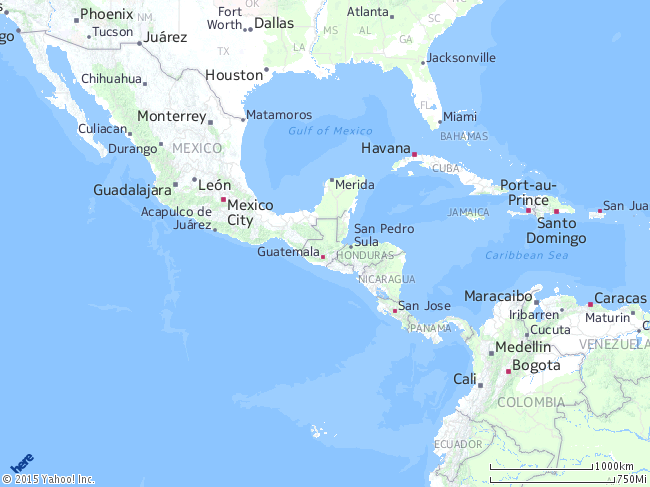 GUATEMALA – Who is to blame? Questions mounted about why people were allowed to build homes at the base of a dangerous hillside next to a small river. Guatemala’s National Disaster Reduction Commission (known as the Conred) said it had warned of the risk Cambray faced since last year and had recommended that residents be relocated. But Elena Solorzano, 40, who had lived in the neighborhood for 17 years in a house built by her husband and 26-year-old Sonia Hernandez, who had 10 family members displaced by the landslide and five from another house missing, both said they were never warned of any danger. Many Cambray residents were staying in shelters. Some 187 people waited on cots inside the Salon Municipal, an auditorium the town usually employs for events and parties. Displaced families could find food, medical services, activities for children and psychological services there. Most people there were homeowners, and said they built their homes with all the proper permits. They said they were more focused on the nearby river that occasionally overflows its banks than the hillside above them. Disaster Reduction Commission Director Alejandro Maldonado said he had warned Mayor Tono Coro of the municipality of Santa Catarina Pinula that the river was eating away at the base of the steep hill. Maldonado said he was waiting for a report from local authorities about what they had done in response to the warning. Municipal spokesman Manuel Pocasangre said local authorities had warned residents about the dangers, but the inhabitants did not want to leave their homes. Maldonado acknowledged there are many neighborhoods like Cambray in and around Guatemala City that are at risk of flooding or mudslides. “What happened in Cambray is just a tragic case of what could potentially happen throughout the city,” Maldonado said. On Monday, Oct. 5, backhoes continued to remove thousands of tons of dirt from the mudflow with practically no hope of finding anyone alive and increasing difficulties in rescuing whole bodies. Emergency services coordinator Sergio Cabanas said five more bodies had been uncovered. 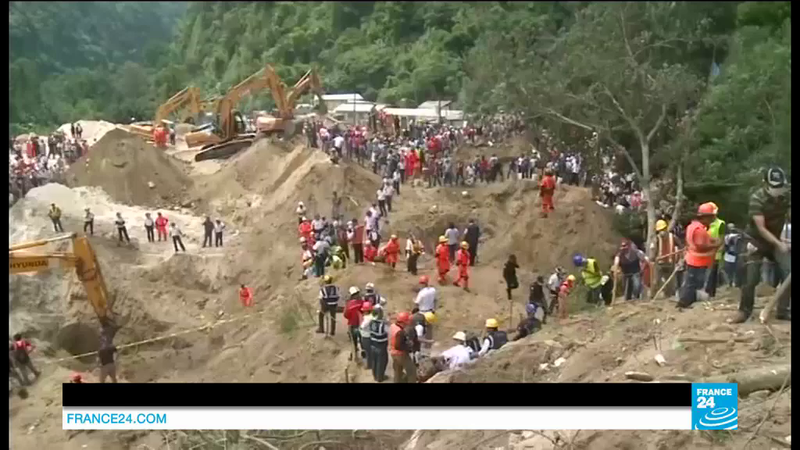 About 300 people remain missing, according to some estimates. An Israeli man stabbed four Arabs in southern Israel on Friday morning as spiking tensions in Jerusalem and the West Bank threatened to spread throughout Israel. Police spokeswoman Luba Samri said two members of the country’s Bedouin minority and two Palestinians were wounded in the attack in the city of Dimona. The men were evacuated to a hospital for treatment. Samri said attacks were likely “nationalistically” motivated. Israeli media reported the stabber said after his arrest that he carried out the attacks in retaliation for the numerous Palestinian attacks on Israelis this week. Dimona mayor Beni Bitton said the stabber is a “mentally ill man.” He told Channel 10 TV that two of the victims worked for City Hall, and that passers-by quickly rushed to help the wounded Arabs and provided first aid. Prime Minister Benjamin Netanyahu “strongly condemned the harming of innocent Arabs.” He said whoever deploys violence will be brought to justice. A Palestinian later stabbed a 14-year-old Israeli in Jerusalem, lightly wounding him before he was arrested, police said. Israeli security forces braced themselves for more unrest Friday after days of Palestinian attacks that spread this week from beyond the flashpoint of violence at Jerusalem’s holiest site and across the West Bank to Israeli cities. Israeli police barred young Muslim men from the sacred Jerusalem site as a measure to ensure calm. Samri said men under 45 are barred from the Al-Aqsa mosque compound while women of all ages can enter. The age limit has been set intermittently in an attempt to ensure peace at the site, as it’s mostly younger Palestinians involved in the violence. Samri said police are on high alert. The unrest began about three weeks ago as Palestinians repeatedly barricaded themselves inside the Al-Aqsa mosque and hurled rocks and firebombs at police. It was fueled by Palestinian allegations that Israel plans to change the delicate arrangement at the hilltop compound, holy to Jews and Muslims. 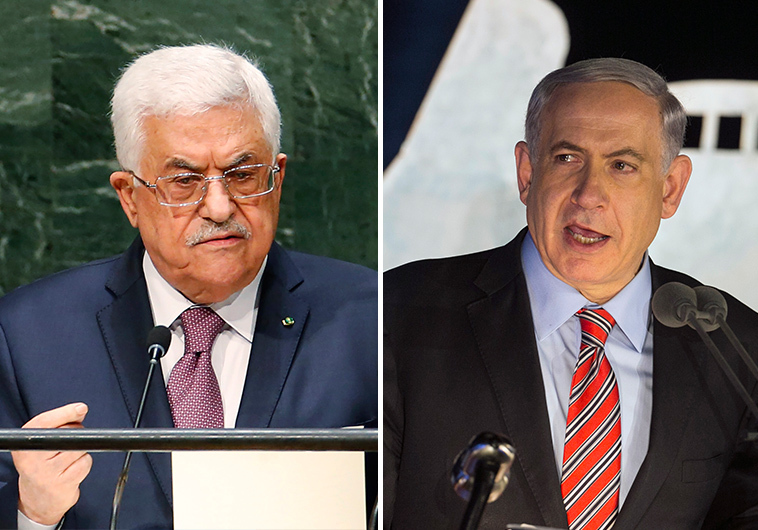 Israel has adamantly denied the allegations and accused Palestinian leaders of incitement. 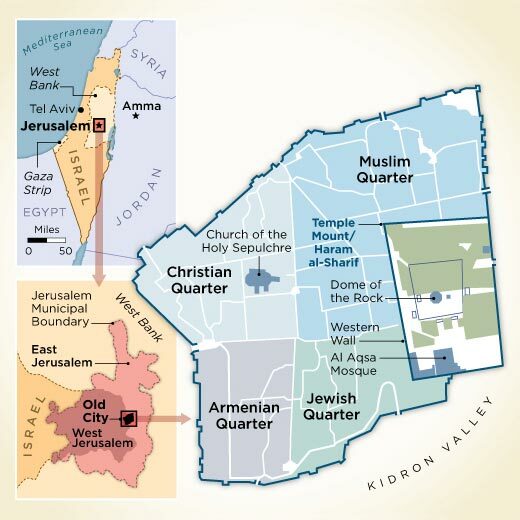 The attacks were initially confined to east Jerusalem, site of the sacred compound, and the West Bank – both territories captured by Israel from Jordan in the 1967 war and claimed by the Palestinians for their future state. But this past week the violence has spread to Tel Aviv, Afula and other Israeli cities. What began as Palestinians throwing rocks and firebombs at passing cars and police morphed into a deadly shooting and a rash of knife attacks where Palestinians stabbed Israeli civilians and soldiers in the streets. Four Palestinians were killed after carrying out attacks against Israelis since Saturday. Three Palestinian protesters were killed in clashes with Israeli forces in the West Bank during that time. The Red Crescent medical service says over 500 Palestinians were injured in West Bank violent protests since the weekend including about 100 from live fire. 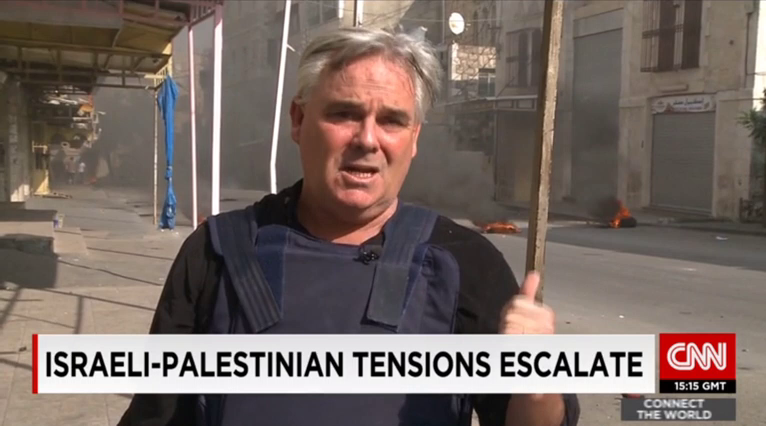 The attacks have shocked Israelis and sparked fears of a new Palestinian Intifada, or uprising. However Israeli officials have downplayed that possibility, saying this is the kind of violent spike Israel has faced periodically in recent decades. Israel has significantly beefed up security in response to the violence in Jerusalem, and on Thursday police set up metal detectors at the entrance to Israel’s Old City. The hilltop compound is a frequent flashpoint and its fate is a core issue at the heart of the Israeli-Palestinian conflict. It is known to Jews as the Temple Mount, site of the two biblical Jewish temples. Muslims revere it as the Noble Sanctuary, where they believe the Prophet Muhammad ascended to heaven. Non-Muslim visitors are only allowed to enter the site at specific hours and are banned by police from praying there. Many Muslims view these visits as a provocation and accuse Jewish extremists of plotting to take over the site. Israel has promised to ensure the delicate arrangement at the site and insists it will not allow the status quo there to be changed.